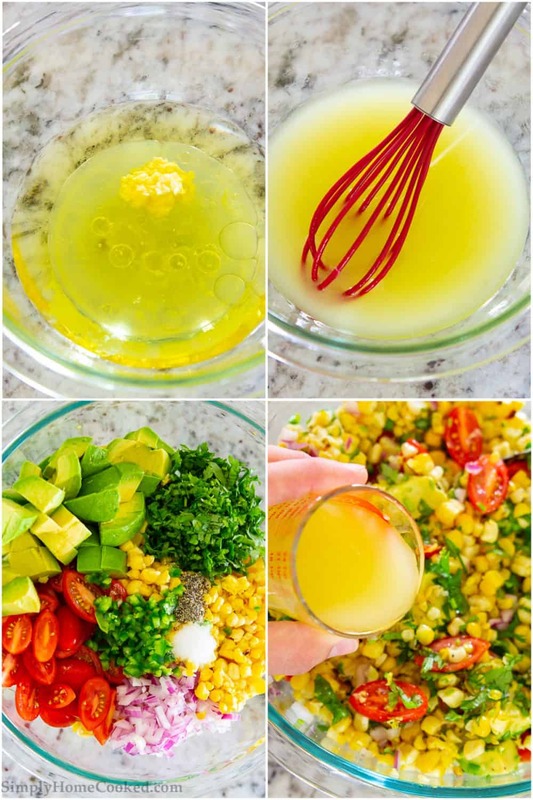 This crisp and fresh corn salad has it all. 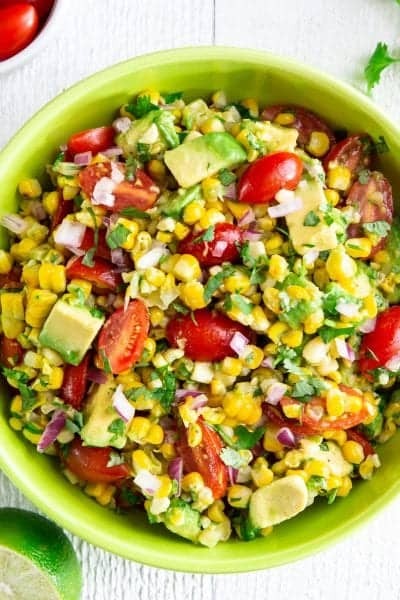 Grilled corn, avocados, tomatoes, cilantro, and lime dressing. With its vibrant colors, this salad is hard to pass up. It’s also quite healthy, so give it whirl 🙂 All ingredients can be found at Fred Meyer. 1 . Combine pressed garlic, lime juice, and olive oil in a small bowl. 2 . 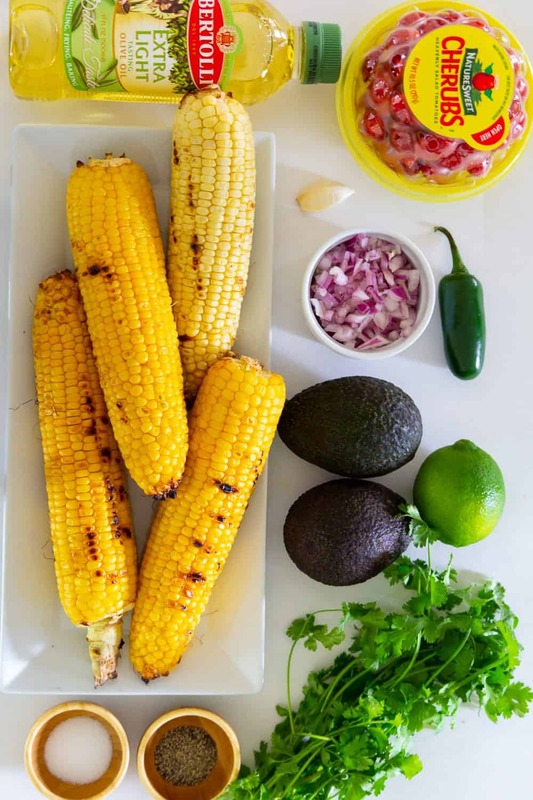 In a separate bowl combine grilled corn, cilantro, red onion, cherry tomatoes, jalapeño, avocado, salt, and pepper. 3 . Drizzle the desired amount of the dressing onto and toss to combine. Combine pressed garlic, lime juice, and olive oil in a small bowl. In a separate bowl combine grilled corn, cilantro, red onion, cherry tomatoes, jalapeño, avocado, salt, and pepper. Drizzle a desired amount of the dressing onto and toss to combine.